When Windows 8 was released back in 2012, Metro was a completely separate and independent platform which ran the apps from Store. Desktop and Metro did not work great together ( I had no problem though ). The users were not feeling comfortable with the new Metro UI as it took a good deal of time to get used to it. 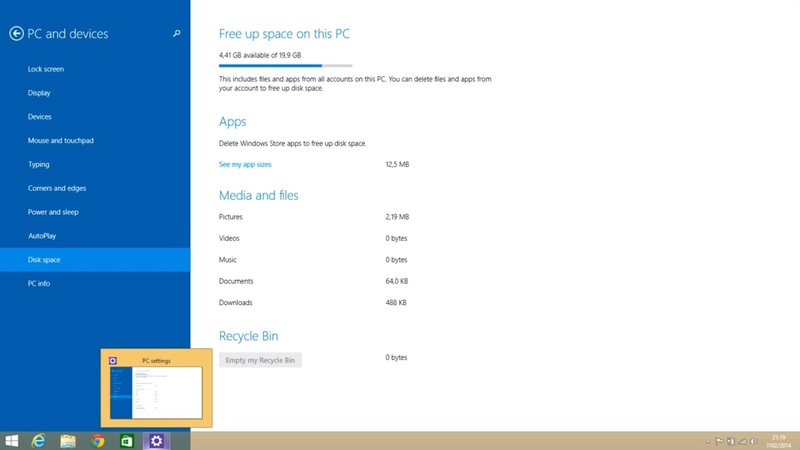 Many of the third party start menu apps started exploiting Windows 8's capabilities. Microsoft had pushed Metro too hard and after seeing the results, they decided to create a big update for Windows 8 which came out with the name of Windows 8.1 within a year which brought some key features back like the boot to desktop and a better metro UI. It did more than integrating desktop and metro. It still kept metro moving forward with many of the new features specifically designed to work inside the metro environment but it had given a option for users to choose the desktop or metro rather than only metro which was in the case of Windows 8. Microsoft introduced a radical departure with Windows 8 but Windows 8.1 update 1 puts everything back into place while maintaining Microsoft's new strategy. After all, the next update to Windows 8.1 will be released on April which means that Microsoft is making changes to the OS in a rapid pace with customer feedback playing a major role. Windows 8.1 update 1 will make the modern platform a bit more usable for the traditional users. The metro UI for touch users is same as it is in Windows 8.1 but the major difference is for the non-touch users. Microsoft is now making the metro and desktop work together rather than forcing users into any one of them. The improvements make apps work like a normal desktop app. The taskbar plays the key role in navigating through the OS rather than the Charms bar which was intended for the same purpose. Microsoft introduced a radical departure from Windows 7 with Windows 8 but Windows 8.1 update 1 puts everything back into place while maintaining Microsoft's new strategy.